The unicorn here in "Licorne Captive - Red" shows the unicorn captured in a pen. From the series of Hunt of the Unicorn tapestries, we see the unicorn captured by royal huntsmen for its mysterious healing qualities. The background is mille fleur and is on a red background. 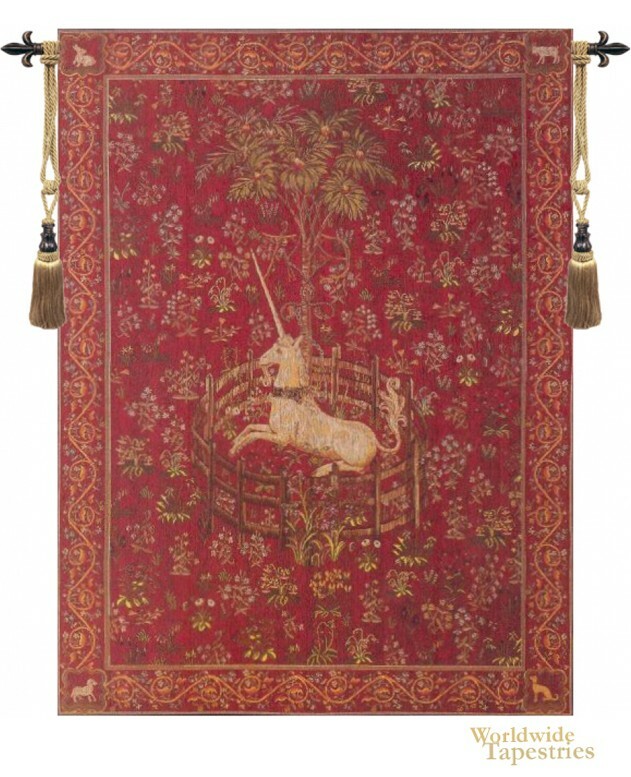 This unicorn tapestry "Licorne Captive - Red" is backed with lining and tunnel for easy hanging. Note: tapestry rod and tassels, where pictured, are purchased separately.